We started the engagement with skepticism about the potential savings and ended the engagement astounded at how much money we had been wasting. We didn’t know what we didn’t know until we brought in professional who understood these services far better than our internal staff and who could devote the dedicated and focused resources to such a project. The results of the audit were impressive. 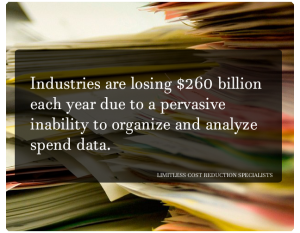 At Limitless’ direction, we terminated and amended contracts and negotiated new contracts, dropped unused circuits, and changed our internal processes to pay much more attention to our telecom bills. We saved approximately $900,000 or 25% of our total telecom spending of $3.6 million. 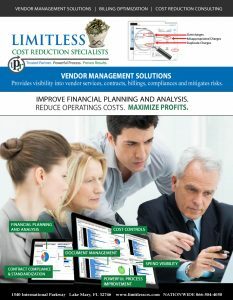 Limitless was professional, efficient and minimally disruptive to our staff. We’d highly recommend them to any company that spends significant dollars on telecom services.